Fight Trainer: a powerful application that helps you get tough workouts using techniques that are common to many striking arts. 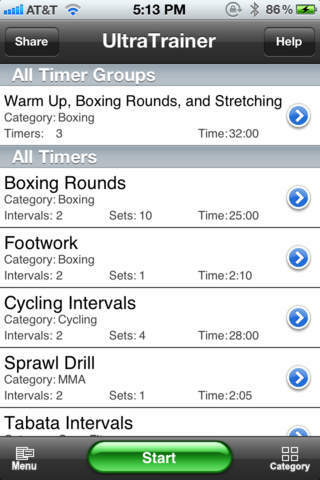 It has preset rounds and workouts but you can customize them. 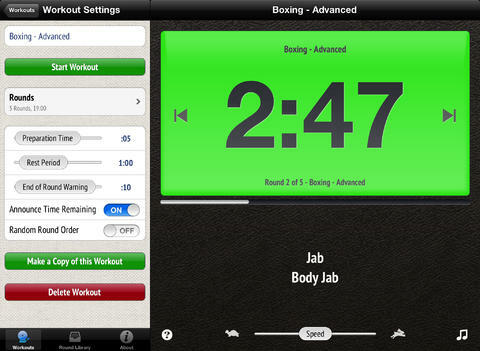 Boxing Timer Pro: keeps your MMA, Muay Thai, and boxing rounds on track. It has a user-friendly design and fully configurable sounds and times. 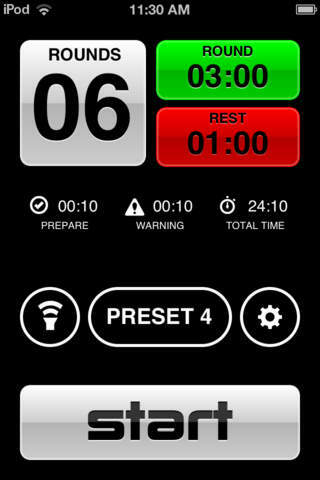 MMA Timer: a timer for boxing, Jiu-jitsu, Crossfit, and other workouts. You can customize rounds, fight duration, sound effects, warning time, and more. UltraTrainer: this is a virtual coach on your iPhone. It challenges you with traditional and randomized action intervals. Over 70 sounds are included. You can record your own. 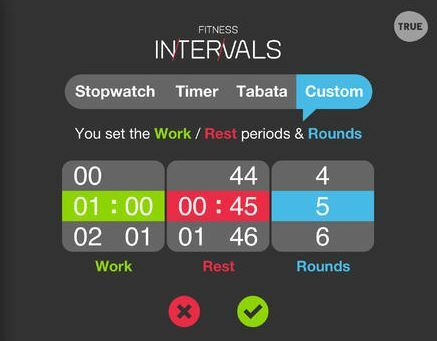 Fitness Intervals: an elegant application that serves as a stopwatch, timer, tabata, round/rep counter, or custom timer. You can use it for any workout. These timers help you push your body and keep your training sessions on track. Have you found better ones? Please share them here.